If you struggle with your weight you’re not alone. In fact, a recent study found that more than 30% of all adults in the U.S. meet the current criteria for being overweight. If this statistic hits a bit too close to home, what you can do besides trying the next fad diet to finally lose those unwanted pounds? So how can acupuncture actually help you lose weight? Whenever people change their diets (for health reasons or to lose weight) many times they experience food cravings. This is normal, but it can lead to binge eating. They are often caused by a lack of endorphins in your system. Acupuncture can help to tame or eliminate food cravings by helping your body to release endorphins. 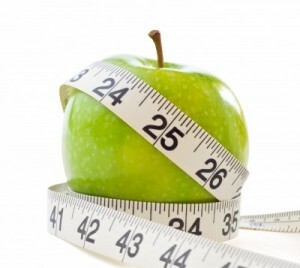 There is a long established link between stress and proper weight management. On the one hand, many people tend to eat “unconsciously” when under stress, turning to “comfort” foods or junk foods. At the same time, an increase in the “stress hormone” cortisol can alter your metabolism. Acupuncture can help you two ways. First, it is a very effective treatment options for reducing stress. And secondly, through the release of endorphins in your system this “stress hormone” can be neutralized. Acupuncture can support the body to generate an efficient digestive process. Each year more Americans spend billions of dollars weight loss products. Yet, obesity is still on the rise. People even turn to surgery as a “solution” for their weight loss problem. However, this is a drastic measure and can cause unwanted side effects. Unfortunately, excess weight is not simply a cosmetic issue. Being overweight is a risk factor for many conditions such as high blood pressure, diabetes, and heart disease. The good news is that maintaining a healthy weight can reduce your risk, and it’s never too late to get started. People seeking to address their weight concerns are turning to acupuncture as a natural and effective way to approach weight loss. In addition to acupuncture treatments I might recommend lifestyle changes. For example, exercise is an important component of any weight loss program. Adding aerobic exercise, weight training, yoga and other types of exercise to your daily routine will have a positive effect on your weight and general health. Diet is another important issue to consider. In general, a healthy diet is made up of unprocessed, organic foods, including a wide variety of whole grains and vegetables. After all, the goal is not simply to “lose” a few pounds but to look, feel more healthy. By working together we can help you reach your goals and help your body regain its natural balance — by starting today and taking new steps toward true health and vitality.